DC12V 25A. 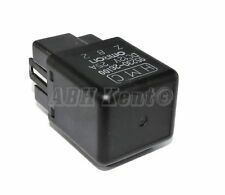 Genuine Kia / Hyundai4 Pin Black / Multi-Use Relay. GenuineKia & Hyundai Part. 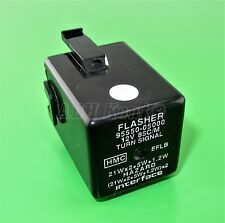 Genuine Kia / Hyundai3 Pin Black Relay /Turn Signal Flasher Relay. Kia Almost All Models (2003-2015). Hyundai Almost All Models (2003-2015). GenuineKia & Hyundai Part. 12V 85C/M. Made by HMC OMRON. Genuine Kia & Hyundai Part. Genuine5 PIN Black Multi-Use Relay. Kia Alonst All Models. Hyundai All Models. Hyundai Part Number:95220-3B000. Colour: Black. Kia & Hyundai (2000-2015) 5-Pin Multi-Use Green Relay (Module) 95240-1P100 DC 12V. Genuine Kia / Hyundai5 Pin Green Relay (Module). Hyundai Part Number:95240-1P100. GenuineKia & Hyundai Part. 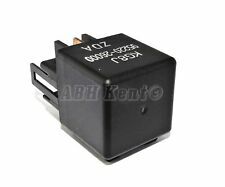 Genuine Kia / Hyundai5 Pin Black / Multi-Use Relay. GenuineKia & Hyundai Part. Made byOmron HMC. 85399 Hallbergmoos (D). KIA 23241-4A030. HYUNDAI 23241-4A030. 12V 30A. 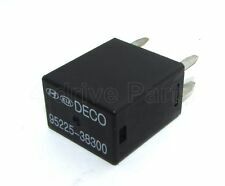 Genuine Kia / Hyundai5 Pin Black / Multi-Use Relay. Hyundai Part Number:39160-2G000. GenuineKia & Hyundai Part. 1995cc 134/100 16v. Power Relay. Electric Front & Rear Windows, Electric Power Folding Door/Wing Mirrors. Engine Size. Engine Code. Air Conditioning. The table below contains further information. Item Information & Vehicle Details. Kia Part Number:OKOUA66830. 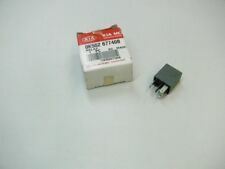 Genuine Kia3 Pin Black Relay /Turn Signal Flasher Relay. Kia Sorento MK1 (2002-2009). 12V 85C/M. It will fit other models from 2002 onward. GenuineKia & Hyundai Part. Temporisateur préchauffage Kia Sedona 2.9 TD 2.9 CRDi HERTH BUSS. Kia Carens. Kia Sedona. Genuine4 PinGrey Multi Purpose Relay. Kia Alonst All Models. Kia Part Number: OK552-67740. Genuine Kia Part. Made byDeco in Korea. Suitable vehicles: Kia Cee'd 2012, 2013, 2014, 2015, 2016 and 2017 reg estate, saloon and hatchback models with an identical part currently fitted. Parts: Removed from a 2017 reg Kia Cee'd 1.6 diesel model we are currently breaking for parts. 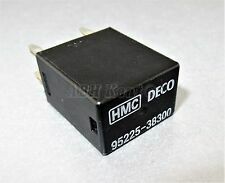 Genuine (Original) Kia & Hyundai Multi-Use Blue 4-Pin Relay Deco HMC Relay. Made byDeco or HMC. Genuine4 Pin Blue Multi-Use Relay. Kia Almost All Models. Hyundai Almost All Models. GenuineKia & Hyundai Part. 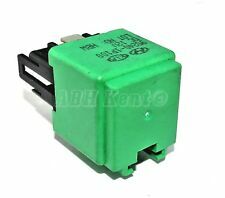 Genuine Kia / Hyundai3 Pin Black or Green Relay /Turn Signal Flasher Relay. Kia Almost All Models (1990-2015). Hyundai Almost All Models (1990-2015). GenuineKia & Hyundai Part. 12V 85C/M. Kia Carens. Kia Sedona. Made by Deco in Korea. Genuine 4 Pin Grey Multi Purpose Relay. Kia Alonst All Models. Kia Part Number: OK53A-67740. Genuine Kia Part. Colour: Grey. Part Number : 911103E880. NEW Genuine Kia Parts from Kia Main dealer. 2016 Kia Sorento 2015 On KX-4 CRDi 4WD 2.2 6 Speed Automatic Diesel 5 Door SUV Fuse Box 91950-C5531 All of our mechanical and electrical parts come with a 3 month warranty as standard, this covers the part itself but does not cover any labour charges incurred from fitment or removal of the item. (Terms and Conditions Apply). For extra peace of mind, extended warranties are available upon request at an additional charge. For more information please message us. Please be aware that all our items are removed from right hand drive vehicles unless otherwise stated. If you are unsure if this item will fit your vehicle or if you have any other questions then please call our parts department who will be happy to help. If you have any problems at all then please message us through eBay and we will happily help to resolve any issues. 91950-C5531. Beim Abschließen des Kaufes erklären Sie sich damit einverstanden, auf spätere Ansprüche in dieser Hinsicht zu verzichten. Auf alle mir bekannten Mängel weise ich ausdrücklich hin. Alle Angaben sind nach bestem Wissen und Gewissen gemacht. 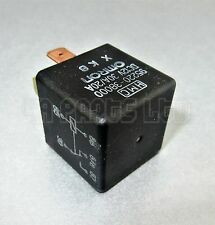 (Used) Genuine Hyundai Santa Fe Accent Getz Multi-Use 4-Pin Blue Relay Omron 95224-2D000 12V 20A. Genuine Hyundai4 PIN Blue Multi-Use Relay. Kia Almost All Models. Hyundai Almost All Models. Hyundai Part Number:95224-2D000. Hyundai Santa Fe Accent Getz Multi-Use 4-Pin Blue Relay Omron 95224-2D000 12V 20A. Genuine Hyundai4 PIN Blue Multi-Use Relay. Kia Almost All Models. Hyundai Almost All Models. 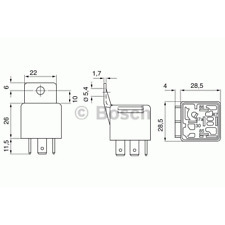 Hyundai Part Number:95224-2D000. 2 x KY0267740 Relays. Kia Rio Estate MK1. UK cars are right hand drive.again I take no responsibility for any muddle up with Left Hand Drive Cars. Relay 95410. Kia Rio Estate MK1. UK cars are right hand drive.again I take no responsibility for any muddle up with Left Hand Drive Cars. DC12V 25 a. Véritable Kia / Hyundai4 broches noir / Multi Use-relais. Kia, certains modèles (2000-2015). Hyundai certains modèles (2000-2015). VéritableKia & Hyundai Partie. Kia Rio Estate MK1. Relay 95250-FD650. UK cars are right hand drive.again I take no responsibility for any muddle up with Left Hand Drive Cars. 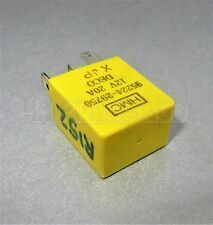 Genuine Kia / Hyundai5 Pin Yellow Relay / Multi-Use Relay. Kia Alonst All Models (2000-2015). Hyundai All Models (2000-2015). GenuineKia & Hyundai Part. 12V 20/10A. Genuine4 PIN Blue Multi-Use Relay. Kia Almost All Models. Hyundai Almost All Models. GenuineKia & Hyundai Part. Number Of PIN: 4 PIN. Made byOmron. Made byHMC OMRON. Genuine4 PIN Black Multi-Use Relay. Kia Alonst All Models. Hyundai All Models. GenuineKia & Hyundai Part. Colour: Black. Genuine4 Pin Blue Relay / Multi-Use Relay. Kia Almost All Models. Hyundai Almost All Models. Hyundai Part Number:95224-2D000. GenuineKia & Hyundai Part. Made byOmron. Option can be added at checkout. All parts are used but fully tested and in full working order before removal. Right / Left Hand Drive. Part number: 69514-2L200. Body Style. Screws, nuts and bolts are also classed as a free gift if included. Relay Fuse Box. 1995cc 134/100 16v. Our Opening Hours are:-. 5 Door ATV. Engine Size. CASH ON COLLECTION. Vehicle Photographs & Guide. Part Number : 368302A300. NEW Genuine Kia Parts from Kia Main dealer. KIA CARENS MK3 2.0 CRDi 2006-2012 RELAY BOX-MAIN. MODEL: CARENS 2.0 CRDi. COLOUR: VELVET INDIGO BLUE CODE K5. YEAR: 2006. TOP QUALITY CAR PARTS. All our used parts are in good condition and are tested prior to dispatch. 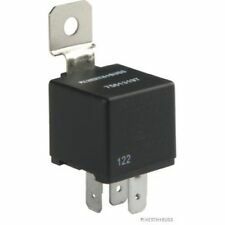 Genuine Hyundai 5 PIN Black Multi-Use Relay. Kia Almost All Models from (2005-2016). Hyundai Almost All Models from (2005-2016). Hyundai Part Number: 39160-25000. GenuineKia & Hyundai Part. Number Of PIN:5 PIN. KIA Carens II 2009 Relais de ventilateur de soufflante VEI4698. MODÈLE: Carens II. Fabricant: Kia. Chemijos g. 5-7. Mo « Veiveriu autodalys ». Pas de week-end ou après les heures dispach disponibles. Genuine Kia4 Pin Black / Multi-Use Relay. Made byOnron in Korea. Fits both LHD & RHD cars. Good Working Order. Véritable Kia / HyundaiBroche 3 noir Relais /CLIGNOTANT CLIGNOTANT Relais. Kia, presque tous les modèles (2003-2015). Hyundai presque tous les modèles (2003-2015). VéritableKia & Hyundai Partie. Custom Bundle No. Fuse Box Relay Panel. 1591cc 132/99 16v. Exterior Colour Code. Interior Trim Code. 5 Door ATV. Engine Size. CASH ON COLLECTION. Vehicle Photographs & Guide. 2x. 4 Broches Relais Kia CARENS SEDONA Ceed Sportage Multi-Usage Gris OK55267740 1. Codes de la pièce: 919402G020, 07344D, AK5971. MPN 919402G020. Manufacturer Part Number 919402G020. Other part codes 919402G020. MODÈLE: Carens II. Fabricant: Kia. Chemijos g. 5-7. Mo « Veiveriu autodalys ». 2016 Kia Sorento 2015 On KX-4 CRDi 4WD 2.2 6 Speed Automatic Diesel 5 Door SUV Fuse Box All of our mechanical and electrical parts come with a 3 month warranty as standard, this covers the part itself but does not cover any labour charges incurred from fitment or removal of the item. (Terms and Conditions Apply). For extra peace of mind, extended warranties are available upon request at an additional charge. For more information please message us. Please be aware that all our items are removed from right hand drive vehicles unless otherwise stated. If you are unsure if this item will fit your vehicle or if you have any other questions then please call our parts department who will be happy to help. If you have any problems at all then please message us through eBay and we will happily help to resolve any issues.